Here are some useful tips and hints you will need to help plan campervan holiday in Australia. 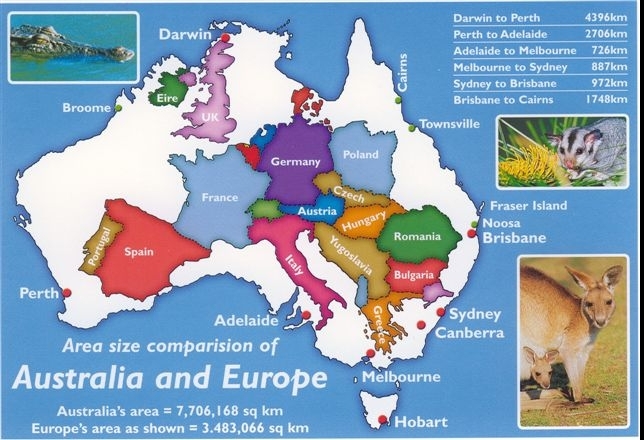 First of all many of our customers make the classic mistake of not understanding just how big Australia is! It is 6th largest country in the world! That is 7,600,000 sq kms to explore in a campervan! It’s larger than Western Europe and roughly the size of USA! 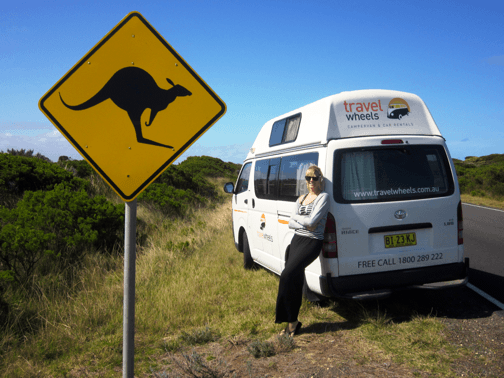 Plan Campervan Holiday in Australia – how big is Australia? A lot of people from overseas often don’t realise just how big it really is! This is normally the first mistake many people do when trying to book campervan hire in Australia. To get the best of your trip, we suggest reading our Plan Campervan Holiday in Australia guide. Remember our team can speak English, wir sprechen deutsch and nous parlons Français. You can call us on 0412766616 for more helpful hints and tips. You can email us at [email protected] and we will be more than happy to help you Plan Campervan Holiday in Australia. When you start to Plan Campervan Holiday in Australia, we recommend reading up about driving distances down under. Below are the travelwheels quick guide to the number of days we recommends for campervan hire in Australia. This will give you a chilled out trip and not a driving holiday! Understanding Australia weather is so important when you Plan Campervan Holiday in Australia. We get a lot of emails from customers asking us about the weather and seasons for each region down under. Below is the travelwheels campervans weather guide to the seasons and temperatures to help you Plan Campervan Holiday in Australia. Need more help to Plan Campervan Holiday in Australia or simply have a question or need advice about the weather? You can email our team anytime in English, deutsch or Français ici. We often get people asking us how many kms is it between the major cities in Australia? Below is a simple driving distance calculator for the main cities in Australia. This is useful guide to help plan campervan holiday in Australia. Distances between major cities are in Kilometers. When you plan your campervan hire holiday in Australia, Travelwheels campervans hire recommends driving say 200-300Kms MAX in a day. This will give you the time and the space to see interesting things, and relax on route. You will be able to stop where you want to stop without always looking at the watch! There is nothing worst that turning a campervan hire holiday into a manic driving holiday! Remember it’s not just about the sheer distances down under! It’s important to factor this into the plan campervan holiday in Australia masterplan! It’s not about how many kms you can do in a day, but instead all the fun things you can do between these vast distances! At Travelwheels Campervans Hire we want you to have an adventure, not a driving holiday! Travelwheels gets lot of travellers emailing us asking advice about how to plan campervan holiday in Australia. Regardless if you are interested in hiring or buying a used camper down under we have plenty of free advice for you. We have plan campervan holiday in Australia route planers in Deutsch, Français, Nederlands and English! You can email our team anytime in English, deutsch or Français ici.